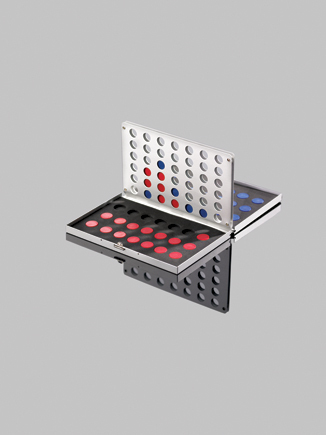 These Custom Imprinted Classic Strategy Games are perfect for giveaways or corporate gifts. Be the first player to get 4 discs in a row (horizontally, vertically, or diagonally). This Custom Strategy Game measures 6¼" Wide x 4" Long x ¾" High.